Alex Trebek, the much admired host of the longest-running game show in the history of television, was born as George Alexander Trebek on July 22,, 1940, in Sudbury, Ontario. His mother, Lucille Trebek, was of French-Canadian descent, and his father, George Trebek, a Ukrainian immigrant was a chef at a local hotel. Alex was a very bright and insightful child, he attended the Jesuit school which he quit at the age of 12 when he decided to attend the University of Ottawa High School. He graduated from high school in 1957, and pursued a degree in philosophy at the University of Ottawa. 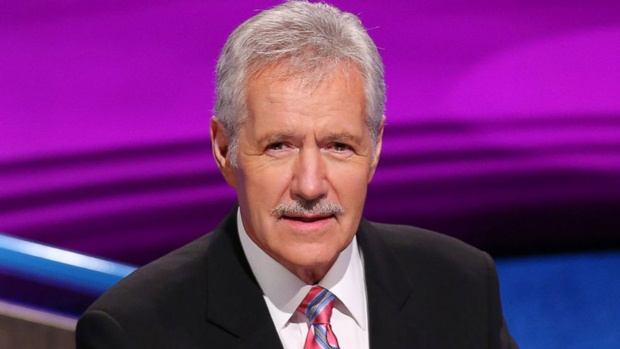 After graduating in 1961, Trebek decided to shift to journalism and pursue it as a career. He got his first job as a fill-in reporter and newscaster at the Canadian Broadcasting Corporation, CBC TV. Even though he met with appreciation for his composed and relaxed presence on-screen, in 1966 he made another career shift from journalism to the more profitable field of hosting game shows. His first shot at hosting game shows came when he was offered to host the Canadian quiz show ‘Reach for the Top’, which held academic competitions between high school teams. In 1970, Trebek’s fame grew and he was offered to host the more applauding nationally televised Canadian game show ‘Jackpot’. Alex Trebek was not yet satisfied with his mediocre success and in 1973, he decided to leave Canada and pursue his dreams in the glittery and glamorous world of Hollywood. He landed his first American television gig as host of the NBC game show ‘The Wizard of Odds’. The show was short lived, lasting only one season, however, in 1974 Trebek was signed to host its replacement, another game show called ‘High Rollers’. He hosted the show for two-year runs on NBC, from 1974-76 and later from 1978-80. Meanwhile, he also signed up to host other games shows such as ‘The $128,000 Question’ (1977-78) and ‘Pitfall’ (1981-82). The shows did not meet with significant success but Trebek’s mild-mannered demeanour won the approval of the viewers and his fame as a game show host increased. His big break came in 1984 when Merv Griffin, the creator of the famous show ‘Wheel of Fortune’ offered him to host the revival of the unique game show ‘Jeopardy!’ which was going to do wonders for his career. Jeopardy! was an exclusive show which grabbed the attention of the public by its distinctive format where clues were given in the form of answers and the participants responded in the form of questions. Trebek won immense approval for his version of Jeopardy! and it instantly became one of the most watched game shows in television history. Trebek’s fame took flight and he became a pop culture icon winning five Daytime Emmy Awards for Outstanding Game Show Host and the show remained on air for more than 27 years. In 2011, Trebek and the show ‘Jeopardy!’ were also awarded the Peabody Award for “encouraging, celebrating and rewarding knowledge”. Alex Trebek is an active philanthropist and spokesman for various organizations such as World Vision and Smile Train, which work to improve the lives of poverty-stricken children all over the world. He also took part in 13 USO tours to visit the American troops overseas. In 2010 he was awarded the Royal Canadian Geographical Society’s Gold Medal for his services to improve the standards of geographic education and the study of geography. Despite achieving the heights of success, Trebek remains to this day a modest and unpretentious man who not only entertains his viewers but also takes up initiatives to make the world a better place.